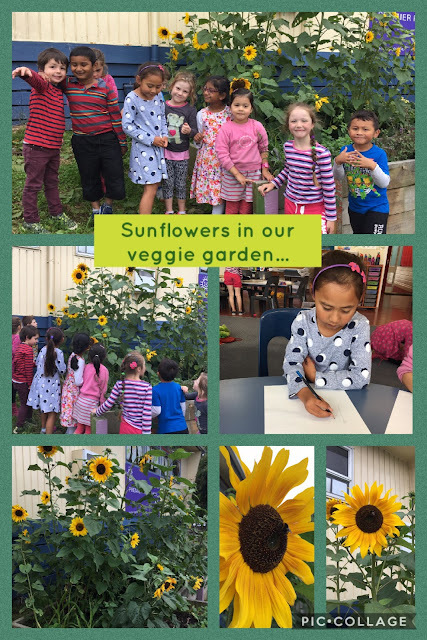 In Term One we were learning the letter "Gg"...we went for a walk and discovered sunflowers in our garden. There were different types and lots of bees. When we got back to class we draw sunflowers and painting them using dye.